This is a sponsored post written by me on behalf of Ruby Tuesday. All opinions are 100% mine. When my husband and I were younger, and we moved away for him to take a job just after college, it was a big adjustment for us. We went from having a ton of friends and family in close proximity, to being thousands of miles away from everyone and everything we knew. When it came time to celebrate our oldest son's 1st birthday, we headed to one of our favorite restaurants from home, Ruby Tuesday. We were so grateful to find that a restaurant that we both enjoyed from home, was also located just down the street from our new home. They have a pretty fabulous menu, and their Garden Bar, is amazing. It's stocked (and constantly restocked) with over 55 ingredients that the entire family will enjoy! We had a great time visiting last weekend with the kids, to check out their new Garden Bar options. I had to pause a minute when thinking back to my oldest son's first birthday; our family has grown quite a bit since then! It's such a sweet memory, and I loved making some new memories with all of our children, at one of our absolute favorite family restaurants. 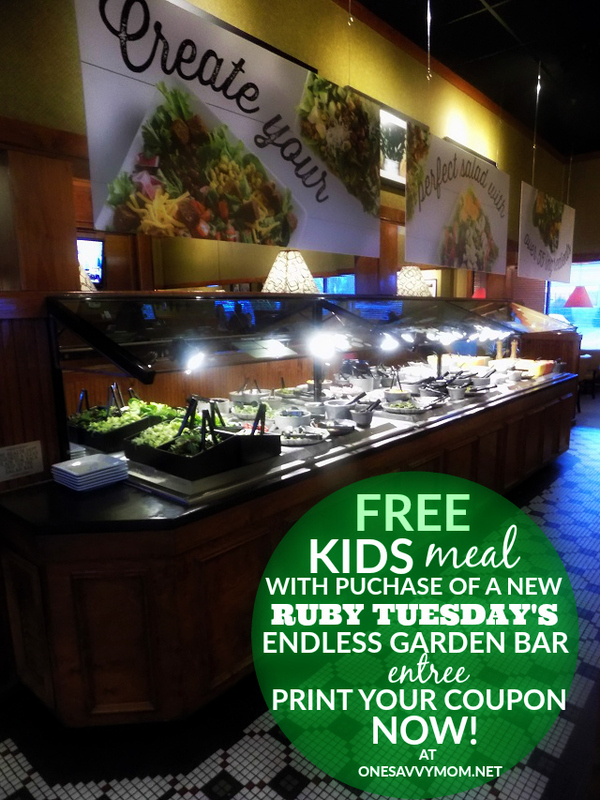 Read on to Find out More about Ruby Tuesday’s All New Endless Garden Bar, and enter to win a gift card to experience it for yourself. I couldn't help but snap a pic of my oldest son's plate when he returned from the Garden Bar! 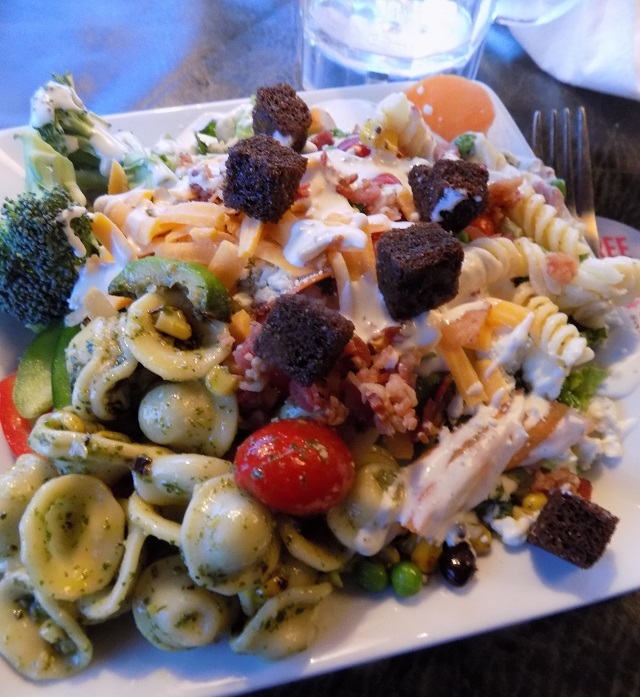 He had it piled high with salad, veggies, cheese, pasta, and one of his favorite dressings - which are made fresh in-house daily at Ruby Tuesday. He's a far cry from a toddling one year old. At 12 years old now, he's as tall as me and he seems to devour everything in sight! 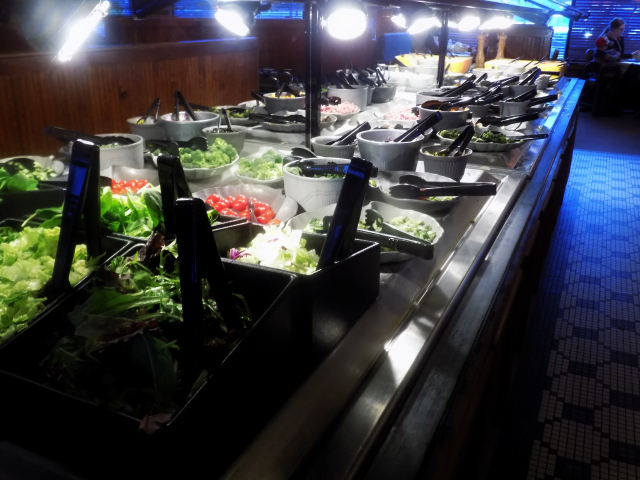 My entire crew, including my toddler, had a great night out, checking out the vast new selection available at Ruby Tuesday's Garden Bar. 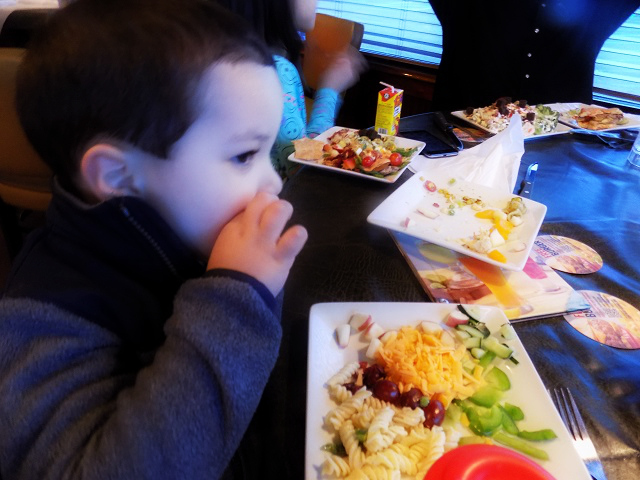 As a mom, I love when we have the opportunity to eat out together as a family and still make healthy choices - everything was absolutely delicious! Enter below to win a $50 Ruby Tuesday gift card! $50 Ruby Tuesday Gift Card Giveaway! We do too :) It is pretty amazing - something for everyone! we don't have a ruby tuesday's here and I wish we did! We used to go there for the delicious salad bar, and their mini sliders!